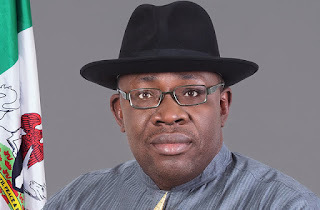 Governor Seriakae Dickson was yesterday returned as the winner of the Bayelsa State governorship election. 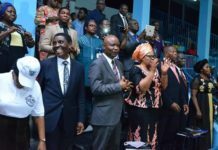 This followed the declaration of the results of the supplementary elections conducted over the weekend in Southern Ijaw Local Government Area and 101 polling units in six other local government areas. The supplementary elections followed the cancellation of the election in Southern Ijaw and the 101 units due to irregularities in the governorship election conducted on December 5, 2015. 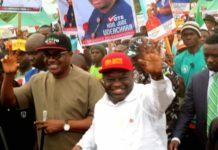 Dickson, who was the candidate of the Peoples Democratic Party, PDP, polled 134,998 votes to triumph over his predecessor and candidate of the All Progressives Congress, APC, Timipre Sylva who polled 86,852 votes. A total of 242,114 votes were cast in the election out of which 6,647 votes were rejected as invalid. 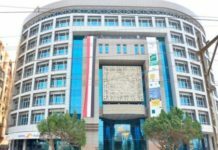 The declaration of the final results by the returning officer, Professor Zana Akpagu commenced shortly after 8.00 p.m. last night and punctured the high drama and suspense that had held many of the state’s political stakeholders for most of yesterday. The agents of the PDP, Chief Fred Agbedi and that of the APC, Barrister Dennis Otiotio had in the course of the day at the collation centre, Yenagoa, repeatedly exchanged accusations over the conduct of the supplementary elections in Southern Ijaw Local Government Area and some other units where the elections were cancelled last December. 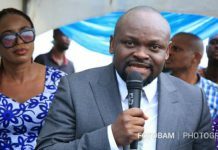 Earlier in the day, the returning officer for Southern Ijaw Local Government Area, Dr. Johnson Dagana had declared the result of the election in the local government area putting Dickson as the winner of the contest in the area with 23,2081 votes. Sylva, who had earlier linked his victory in the governorship election to the amassing of significant votes to wipe away the 30,000 plus lead of Dickson, garnered last December. However, he failed to record the upset in the local government area. 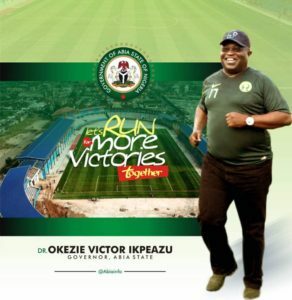 In the end, he got only 10,216 votes out of the 33,607 valid votes cast in the local government area that is also the base of Dickson’s late patron and first civilian governor of the state, Diepreye Alamieyeseigha. Following the declaration of the results, Barrister Otiotio, agent of the APC candidate immediately renounced the declaration of Dickson as the winner, saying the election should have been declared inconclusive on the claim that the difference between the two leading candidates was less than the number of cancelled votes. He also alleged irregularities in voting in some sections of the state. 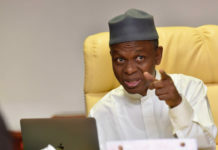 His claim was immediately dismissed by Agbedi, the PDP agent who blamed the irregularities on the APC even as he acclaimed the performance of Dickson as the reason for the PDP victory. 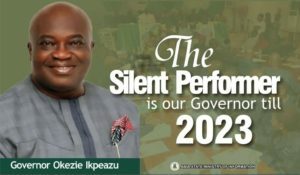 Following the declaration of the results, the Deputy President of the Senate, Senator Ike Ekweremadu, the highest elected PDP official in theFederal Government, congratulated Dickson saying the victory was sweet. He said: “It is a sweet victory, coming against all odds. 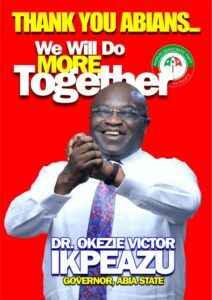 It is a testimony to the performance and popularity of Governor Seriake Dickson and our great party, the Peoples Democratic Party, PDP. 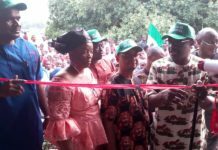 He, however, charged Governor Dickson to repay Bayelsans for their faith in the PDP and his leadership credentials with greater transformation in his second term. He also enjoined him to reach out to his opponents for the peace and progress of the state, while ensuring that every part of the state is fairly treated irrespective of their political choices. The state chapter of the PDP, however, rued what it described as the cost of human lives it took the party to achieve victory. 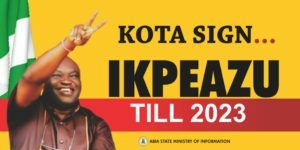 The party stated this through the Director of Publicity, Restoration Campaign Organisation, Jonathan Obuebite, shortly after the declaration of the results. “It is clear that this victory has come with so much pain because we lost dear ones. Those who died are our brothers. So many are yet in the hospitals nursing life-threatening injuries because our opponents wanted to win at all cost. We wish to express our deepest condolences once again and to assure them that their death will not be in vain”, it stated. In his acceptance speech, Bayelsa State Governor, Henry Seriake Dickson, thanked the electorate for ensuring his re-election for another four years but said there would be no celebration because of the number of lives that have been lost. The governor in an emotion-laden statement signed by his Chief Press Secretary, Daniel Iworiso-Markson, released to journalists last night in Yenagoa, however, vowed that he would do everything possible to identify the perpetrators and bring them to justice. While extending a hand of fellowship to his political opponents, Dickson said since the election has been won and lost, the needs of Bayelsans, the challenge of improving their material condition remains and is, even more, urgent. The text of the Governor’s statement reads thus: “My good people of Bayelsa State, I am extremely humbled tonight on the valiant efforts you made to revalidate the mandate you gave me four years ago. With all manner of forces arrayed against us not least the utter desperation of our political opponents, community after community led by women and youth stood gallantly to defend the sanctity of their votes and to resist the efforts of hoodlums who style themselves as “militants” to undermine the democratic process. “To the extent that the people ensured that they spoke loud and clear and that their choice clearly emerged provides some reassurance that our democracy is coming of age. Sadly however the elections were conducted at the price of several lives lost and mayhem visited on many communities by mindless brigands clearly suborned by those who do not respect the democratic process and have equally scant regard for the sanctity of lives and property. Unfortunately, we can’t celebrate because people have died. “I want to assure you that we will do everything possible to identify the culprits and bring them to justice. I want to express my heartfelt condolences and sympathy to the families of the innocent victims of the violence. The government will be undertaking a full account of what happened. “The mandate you have given us having been clearly demonstrated, I want to assure you that my administration will work tirelessly to justify this mandate as we tried to do in the first four years to almost universal acknowledgement and approbation. The present economic climate in the country may be very harsh with the precipitous slide in oil revenues but I want to assure you that we will courageously tackle the challenges of economic and social development with renewed vigour. “Here I will like to extend a hand of fellowship to our political opponents. The election has been won and lost but the needs of our people, the challenge of improving their material condition remains and is, even more, urgent. That should now be the focus of all our attention and efforts.